MLM Recruiting is a process, not an event. Few people will ever join your business IMMEDIATELY after you share it with them. In fact, most people will take a few WEEKS, or even a few months, to make the decision to get involved. And here’s an even bigger lesson. The biggest most successful people in your business five years from now will be the people that told you NO today! In fact, many of your best people will tell you NO ten to twenty times before they ever partner with you. Most folks will need multiple exposures and follow ups to your business and products before they become interested and sign up. I can’t speak for anyone else, but in my own experience MOST people I sponsor take minimum 10-20 follow ups over a 30 to 90 day period of time before they buy or join. Some take even longer than that. Very few people sign up on the spot. Maybe one out of every 50 people I sponsor signs up the same day. Think about it for a minute. How long did it take you to sign up or get started from the first time you were exposed to the business or products? A week? A month? A few months? If you’re like most people it took you at least two or three weeks to do your due diligence and research the company and products, and make a decision. People won’t join your business or become a customer until the TIMING is right in their life. Some people are ready right away. Most aren’t. I don’t say any of these things to put you off or scare you. I believe that knowledge is power. And you should know the truth. The sooner you realize that MLM Recruiting is a process, not a single event, the better off you will be! You need to develop a simple and effective FOLLOW UP process if you want to succeed in MLM. It’s true, the money is in the follow up. Every person you meet, every prospect you talk to, you need to have a game plan on HOW you will follow up with them in the months and years to come. Don’t be like most reps and talk to someone, get a NO, and then NEVER talk to the person again. That is a HUGE mistake. Make sure you get the contact information of EVERY person you talk with and build up your name database. Make it a point to stay in touch with EVERYONE in your database at least once a month, either by phone, email, face-to-face, or mail (or a combination of these methods). Stay in touch until they buy or die. Most importantly, do it in a professional way and never use pressure or deception. As you stay in touch with people on a regular basis a few things will happen. First of all, people will quickly discover you are SERIOUS about your business. And that will do wonders to pre-sell them to join your team. Another thing that will happen is that the TIMING in people’s lives will change. Many folks who say NO today will have a significant life event in the future that alters their life. It could be a divorce, a bankruptcy, loss of job, new psycho boss, new children born, or countless other things. When these folks have a major life event, the TIMING will become right in their life to do something different. That’s where you come in. Assuming you were a professional and you stayed in touch with your prospects, these folks will contact YOU to learn more about what you have to offer, when the timing is right for them. As a result, they will be the easiest people to sponsor in your business! They will be your best distributors, because they sold themselves on the idea. Here’s what you need to remember. Keep a list of everyone you ever talk to about your products or business opportunity. Stay in touch with everyone on your list at least once a month. Keep building your list and keep staying in touch. Focus on building friendships with people. Build up your pipeline. Add new names to it every day. And stay in touch with everyone in your pipeline at least once every 30 days until they buy or die! 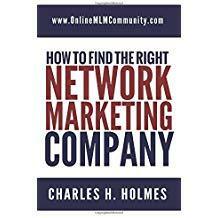 Do that for a few years and you will have a HUGE network marketing business. And remember, recruiting in MLM is a process, not a single event! This is true. The reason why it is true, and why those people are worth keeping in touch with, is because those people do not make decisions lightly. Often, those recruits who jump in at the drop of the hat are the ones who will most likely leave you just as quickly. (Really, it is like any other relationship.) But those who take their time, do their homework, and eventually say a careful “yes” because you have made the time and effort to build a relationship with them: they are the ones who will be valuable and worth keeping. Thank you for reminding us of this. You are spot on. Easy in, easy out. The best reps I’ve ever sponsored were always cautious and deliberate. This was a great post Chuck. So many network marketers do treat it as an event instead of a process. I like the fact that you pointed out that life circumstances do change for people. Sometimes they are interested, but they say no because they have too much happening at that point in time. If we stay in touch, when their life changes, they will have the opportunity to join. By not staying in touch, they will move onto other opportunities.